BASE has had a close involvement in the development of Supported Internships and can offer a package of consultancy support to FE colleges, schools and Local Authorities that are looking to establish or develop their Supported Internship provision. BASE has had a key role in developing the supported employment sector, including the development of National Occupational Standards, the development of the Level 3 Certificate for Supported Employment practitioners and the development of guidance around Supported Internships. We also have close involvement in the proposed SEN reforms. We understand the potential of Supported Internships to deliver employment outcomes and can help your organisation to get it right from the start. We can support all aspects of planning and implementing the Supported Internship provision. This includes sourcing the funding, identifying roles and responsibilities, carrying out skills audits, and developing a timeline for planning and delivering the Internships. We can advise on how to engage with external partners including employers and families. This includes all aspects of helping you to identify and approach appropriate employers. We can also provide support in getting strategic buy-in from education and social care partners. We will help you to ensure that the scheme gets off to a good start by helping to identify suitable learners, identifying suitable content and making sure that the internship is timetabled appropriately. We can help to ensure that Job Coaches and tutors are clear on their roles and have the necessary skills. BASE can help you to ensure that suitable governance is put in place with clear roles and responsibilities across the partnership. We can advise on governance terms of reference. We can provide ongoing support to ensure that your Supported Internship scheme is delivering the planned outcomes. 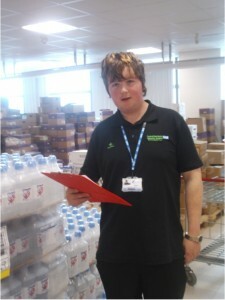 "BASE provided Supported Employment training sessions, in March 2013, for North Warwickshire & Hinckley College. This 2 day course consisted of looking at Internship models, the roles of the Job Coach and the employer, development and monitoring of learning needs and addressing problems and barriers. The training was exceptional! The facilitator was extremely knowledgeable, drew upon a wealth of personal experiences and gave a real insight into the role of a job coach. Resources provided were of a high quality and the pace and style of delivery was excellent. Example documentation was issued at the training which could be adapted for use on the trial. Thank you!" To find out more, please contact us by email or by telephoning 01204 880733.